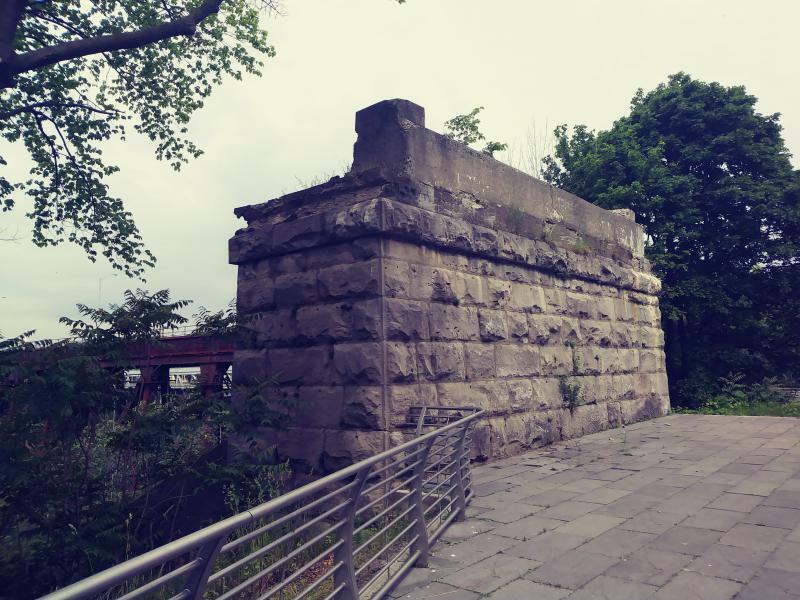 by ANGELICA A. MORRISON / The orginal base of a bridge in Niagara Falls that was used by Harriet Tubman to help runaway slaves escape to Canada. by ANGELICA A. MORRISON / Signage outside an Underground Railroad historic site. An Amtrak train pulls into the Niagara Falls Station. It’s just a few miles away from the famous American Falls. And, it’s also the spot where abolitionist Harriet Tubman helped runaway slaves cross a bridge to Canada. 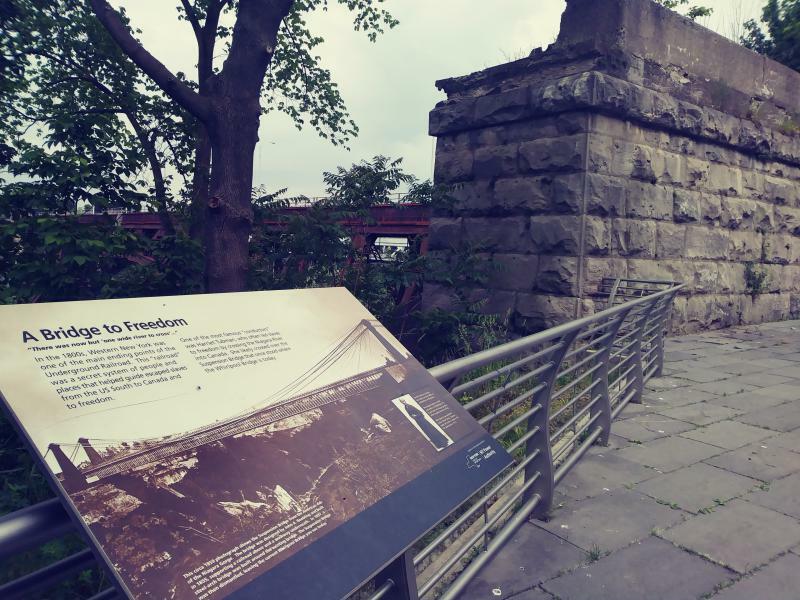 “The U.S. and Canadian border was the difference between oppression and freedom," says Sara Capen, the executive director for the Niagara Falls National Heritage Area. 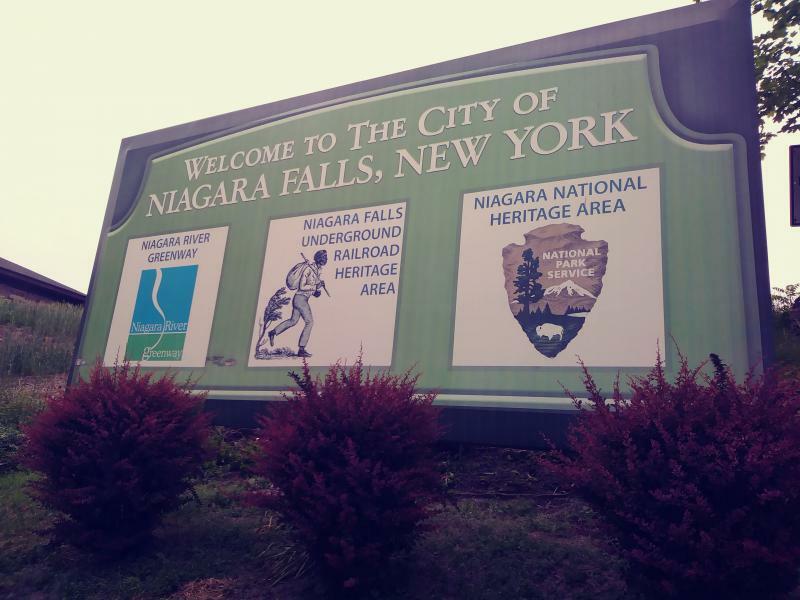 Inside the station Capen points to a map of the region and then her finger lands on the Niagara River. It runs from Lake Erie to Lake Ontario. 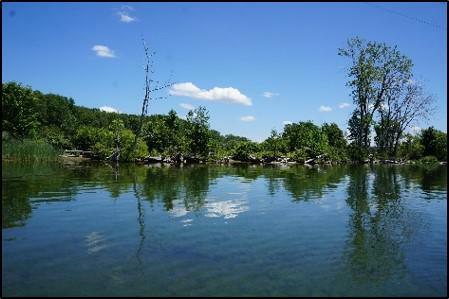 “If you were journeying, and you looked at the geography alone, you weren’t likely to cross Lake Ontario perhaps Lake Erie in spots, certainly Buffalo area. 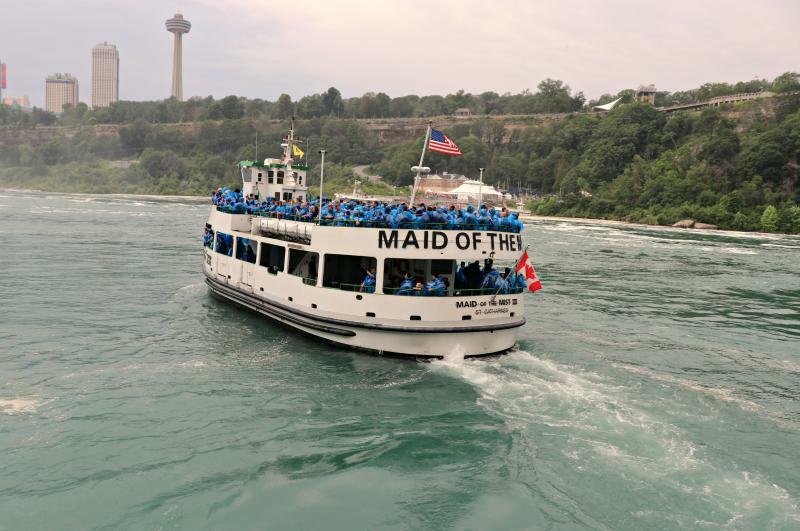 But, the Niagara River was narrow it was the most easy and accessible way to get to Canada," she says. Today, thousands of people are using similar routes to cross the border. Many are asylum seekers. They’re people who cannot go back to their home country, for various reasons like religious or political persecution. So they ask for protection in another country. Anna Ireland Mongo is the chief program officer for the Jericho Road Community Center in Buffalo, which operates a shelter for asylum seekers called Vive. Last year Vive helped about 1,500 people claim asylum in Canada. The pace has quickened this year and they’re up to about 1,300 so far. She says many people are choosing to claim asylum in Canada -- as opposed to the U.S. One reason is the hostile political climate towards immigrants and President Donald Trump’s travel ban. “There’s a certain amount of fear attached to the journey anyway. But I think at that particular point in time, people did not feel safe in the U.S.,” she says. "And nobody knew what was going to happen but it felt scarier than it normally does." People who cross into Canada from the Great Lakes region enter the province of Ontario. Last year, Canada's Border Services Agency counted about 4,000 asylum seekers who entered Ontario through land crossings. So far this year they’ve counted close to 3,000. 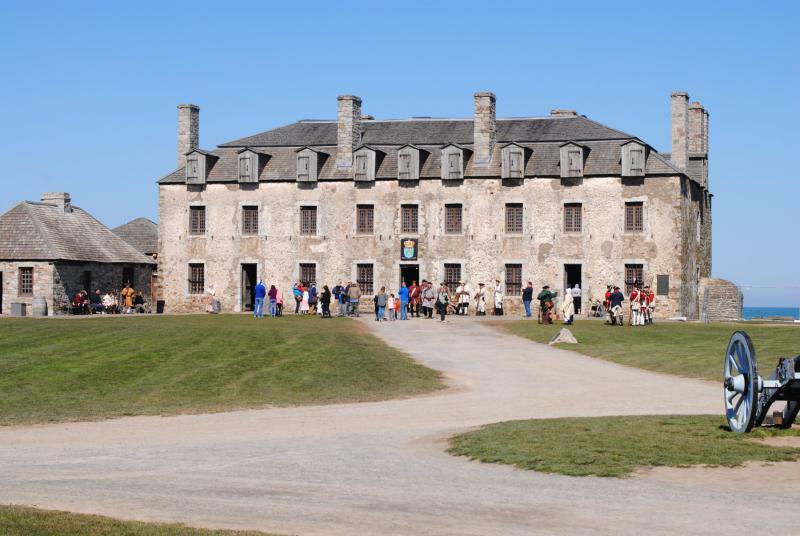 The trend is the same in the Quebec area. In fact, the crowds are so big that officials have used parts of Olympic Stadium in Montreal as a temporary shelter. Further west is Detroit, Mich., where T.J. Rogers is the program manager for the Freedom House, another shelter that helps people claiming asylum. 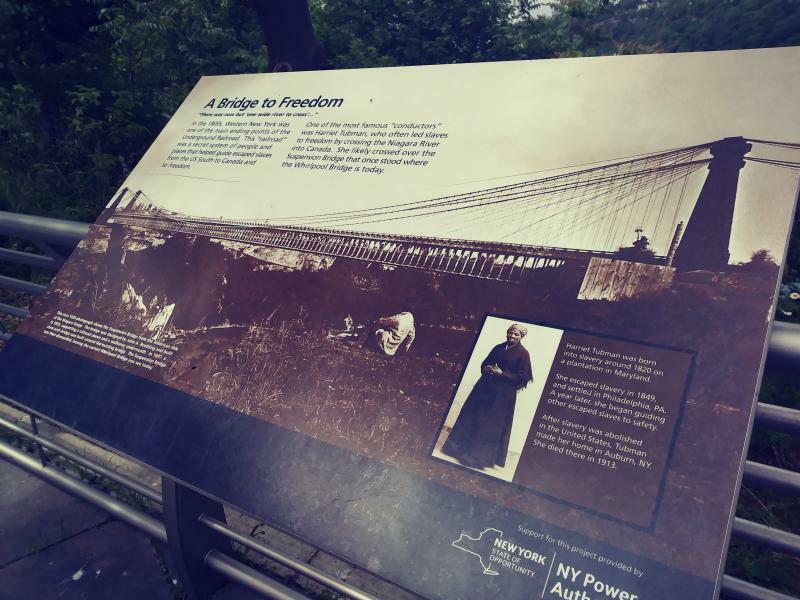 He sees the similarities between the Underground Railroad and today’s rush of asylum seekers. Rogers says the Freedom House also is seeing more people expressing interest in going to Canada. And there, like Niagara Falls and Buffalo, it’s just a short trip across a river. 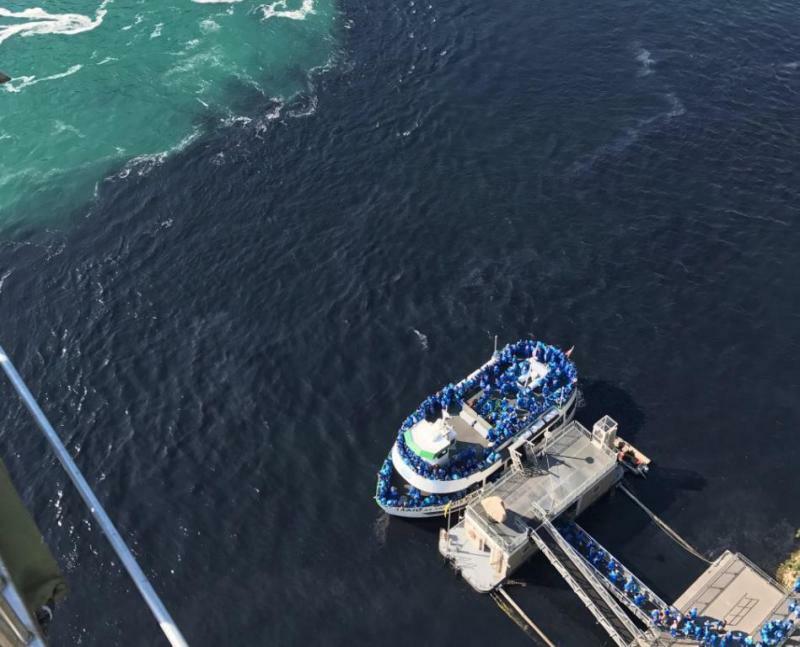 The recent black, odorous wastewater discharge near the base of Niagara Falls violated New York regulations, a state official says. But it's unclear whether any fines will result. 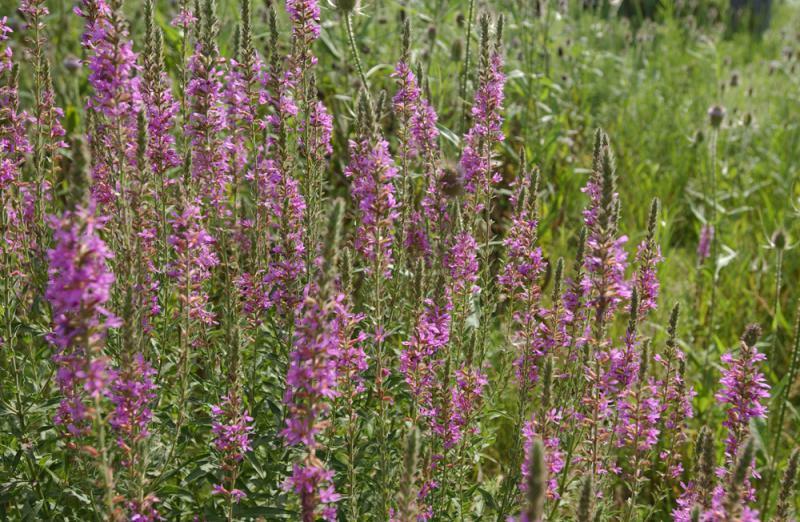 Invasive fish and plants that have plagued the Great Lakes region for decades are getting some special attention this week.